The 2016 New South writing contest is now open to submissions. Judges: Anya Silver (poetry) and Matthew Salesses (prose). Poetry: up to 3 poems in a document; Prose: one short story or nonfiction piece up to 9,000 words. First place winners in each category will be awarded $1,000 prizes; second place winners, $250 prizes; and third place winners, a three-year subscription to New South. Your $15 entry fee also includes a one-year subscription to New South. To submit, please click here. Tethered by Letters F(r)iction Winter Literary Competitions are open to the following three submission categories: 1) short stories of any genre ranging from 1,000 to 7,500 words, 2) flash fiction with a word limit of 750 words, and 3) poetry no longer than three pages. Winners are awarded prize money and publication in F(r)iction. Judges: Isaac Marion (Short Story), Kathy Fish (Flash Fiction), and CA Conrad (Poetry). Detailed submission guidelines here. TBL has also announced a new Twitter contest. Tweet your tiny narratives using the hashtag #BlinkTBL, and check the @TethrdByLettrs and @FrictionSeries Twitter pages for start dates, deadlines, and judging info. Every two weeks an acclaimed judge will choose the winning story. The winner will receive a free digital copy of F(r)iction, and potential publication of the Tweet in a future issue. Paper Darts Short Fiction Award seeks submissions of up to 1,200 words. Judge: Roxane Gay. $5 entry fee, $500 award. Submit here. New Ohio Review's Contests are open for submissions. Judges: Charles Johnson (Fiction), Elena Passarello (Nonfiction), Tony Hoagland (Poetry). Winner in each category receives $1,000 and publication. All submissions will still be considered for publication. One-year subscription to the journal included with $20 entry fee. For more information, please see Submittable. Beecher's 2016 Contest is open for submissions. $12 entry fee includes a copy of Beecher's 6. Judges are Lacy M. Johnson (Nonfiction), CA Conrad (Poetry), and Karen Russell (Fiction). All first place winners will receive $200 and publication in Beecher's 6. Genre-specific guidelines are accessible on Submittable. Mash Stories has announced the keywords for its latest flash fiction competition: "happiness," "mug," and "converter." $100 for the winning story, max. 500 words. Submit here. $500 Stephen Dunn Prize in Poetry, final judge: Richard Blanco. $1,000 Fiction Prize, final judge: Celeste Ng. $500 Nonfiction Prize, final judge: Michael Sternberg. Winners as well as finalists will be published in the Summer Awards Issue due out in early August. All winners and finalists will be cited in future advertisements and announcements. $18 entry fee for all genres. More information here. Ninth Letter's 2016 Literary Awards competition will be accepting entries in Poetry (3-5 poems), Fiction (8,000 words max), and Creative Nonfiction (8,000 words max). The winner in each category will receive a $1,000 prize and publication in the Fall/Winter 2016-17 issue. $17 fee to enter, which includes a one-year subscription to Ninth Letter. Detailed submission guidelines here. The Cossack Review October Prize Contest is open to submissions of fiction (one short story, up to 10,000 words) and poetry (up to six poems). Final judges: Phillip B. Williams (poetry), Sara Pritchard (fiction). Creative nonfiction (up to 10,000 words) accepted on a rolling basis. $15 entry fee includes a copy of the Winter 2016 issue. Winners receive $400 and publication. For more details, see Submittable. Arcadia Magazine's 2016 Dead Bison Editors' Prize seeks fiction, poetry, and nonfiction submissions. A prize of $1,000 and publication in Arcadia is given annually for a short story, a work of nonfiction, and a group of poems. Submit up to 25 pages of fiction or nonfiction and 10 pages of poetry with a $15 entry fee. For genre-specific submission guidelines, please see their Submittable page. Sequestrum's 2016 Editor's Reprint Award will award $200 and publication to one previously-published piece of prose (fiction or creative nonfiction up to 12,000 words). A minimum of one runner-up will receive $25 and publication. Finalists listed on the site. $15 entry fee. Submit here. Ploughshares' Emerging Writer's Contest is now open. Submit fiction or nonfiction (under 6,000 words) or poetry (3-5 poems) for a chance to win $1,000 and publication. You are "emerging" if you haven't published or self-published a book. $24 entry fee. Detailed guidelines can be found here. Boulevard Poetry Contest for Emerging Poets 2016 will award $1,000 and publication for the winning group of three poems by a poet who has not yet published a book of poetry with a nationally distributed press. More details and the link to submit can be found here. The Mayborn Writing Competition is open to submissions in three categories: personal essay, reported narrative and book manuscript. In each, first place will be awarded $3,000, second $2,000, and third $1,000. The ten best narratives will be published in Ten Spurs, a literary nonfiction journal published by the Mayborn Graduate Institute of Journalism. The winner of the book manuscript competition earns a cash prize, and an option to sign a provisional book contract with UNT Press. More details can be found here. American Fiction Short Story Award: New Rivers Press will publish approximately twenty short stories (max 10,000 words per story) in American Fiction Volume 16: The Best Unpublished Stories by Emerging Writers. "We seek well crafted, character driven literary fiction in any genre." $16 entry fee. $1,000 1st Place, $500 2nd, $250 3rd; each of the selected story authors will receive national publication and distribution, author discount, and two complimentary copies. You can submit here. Two Sylvias Press Chapbook Prize 2016 is open for submissions of 17-24 pages of poetry (not including title page, table of contents, end notes). Winner receives $400, chapbook published as print book and eBook, 20 author copies, and an amethyst depression glass trophy (circa 1930). $15 entry fee; all submissions considered for publication. For more details and the link to submit, please click here. Under the Gum Tree Inaugural Anniversary Contest is open to creative nonfiction submissions (up to 5,000 words) on the theme (un)seen/(un)heard. "To us, this theme invites considerations of inclusion and exposure, both the lack and the excess thereof, in terms of content as well as form." Judge: Brenda Miller. $20 entry fee; winner will receive $300, publication in January 2017 issue, and a one-year subscription to keep or gift. For more submission information, please click here. The Mother's Milk Books Pamphlet Prize is intended for debut poets as well as more experienced poets who may, or may not, have had full collections published beforehand. Submit a pamphlet of poetry and prose in keeping with the remit of Mother's Milk Books, i.e. mindful parenting, empowering of mothers, fathers and children, breastfeeding, gentle discipline, family/sibling relationships, familial love, home etc. Judge: Angela Topping. Detailed submission guidelines here. Proximity announced The Narrative Journalism Prize (Judge: Bronwen Dickey) and Personal Essay Prize (Judge: Paul Lisicky). Prize Issue Theme: INSIDE | OUT. Issue Editor: Maggie Messitt. "We're interested in true stories that push our understanding of what it means to be INSIDE and what it means to be OUTside. Where do you feel IN and where do you feel OUT, and what does this even mean? Show us where you're lost, you're unknown, you're on the outside looking in–or deep-dive into spaces in which you're deeply known but can see the barriers that creates for others." $5 entry fee; winner receives $200. For more detailed submission guidelines, please click here. The Profane Nonfiction Prize will be judged by Dinty W. Moore. The prize is $1,000 and a blurb from the contest judge. $10 entry fee, and you may submit 2 pieces in each entry, as long as they don't exceed 7,500 words cumulatively. "There is no theme. Send us your best flash, essays, journalism, or narratives that will spoon out some space in our guts and take up residence there. Tell us something filthy and unflinching; bellow something unapologetic in our face." Click here for more information and the link to submit. Sandwiched: Voices from the Middle is a forthcoming anthology seeking submissions (1,000-3,500 words) "that will give voice to the various perspectives of those who are living in the full middle years of life." "Often times, these are the years when we are pulled in multiple directions, with the demands of our career, children, aging parents, and friendships all taking a toll on our time and energy. But it can also be a time filled with simple pleasures, deeper connections, and a settling into our own skin." Co-edited by Christine Organ and Julie Jo Severson. $25 per accepted story, plus a contributor's copy of the book. Send submissions to VoicesfromtheMiddleSubmissions@gmail.com. For complete guidelines and possible topic ideas, please click here. Writespace is opening submissions (max 2,000 words—fiction, flash fiction, prose poetry) for their second anthology, In Medias Res: Stories from the In-Between: An Anthology of Boundary-Breaking Fiction. "We are looking for stories about characters who are thrown into or stuck between different cultures, communities, families, races, genders, self-images, dimensions, continents, etc. We want the gray area—the uncomfortable, the undefined. Give us characters in the middle of it all: middle children, mediators, people in the middle of their lives, in the middle of a mess—'in-between.'" Please click here for more information. Magic of Memoir asks writers to share their stories (max 3,000 words) of hard-earned wisdom during the process of writing memoir—from wrestling with the inner critic to practical tips and strategies, mistakes made and overcome, sources of inspiration, as well as dark times conjured by writing. Editors: Linda Joy Myers, President of the National Association of Memoir Writers, and Brooke Warner, Publisher of She Writes Press. $20 submission fee; prizes: 1st place: $400, 2nd place: $200, 3rd place: $100. For more information and the link to submit, please click here. The Shell Game is an anthology to be published by University of Nebraska Press featuring essays in which writers borrow readymade forms. "Within the recent explosion of creative nonfiction, a curious new sub-genre is quietly emerging. Hybrids in the truest sense, 'hermit crab' essays borrow their structures from ordinary, extra-literary sources (a recipe, a police report, a pack of cards, an obituary…) to use as a framework for a lyric meditation on the chosen subject." Editor: Kim Adrian. Payment: $100, two copies of anthology, plus $100 coupon to UNP Books. Send previously unpublished manuscripts (750-8,000 words) via Submittable. The "Hysterical" anthology seeks to rewrite medical histories and make history at the same time. The ultimate goal: strip the medical establishment of sexist labels like "hysterical" so women can get the care they really need. With that goal in mind, "Hysterical" will publish nonfiction on themes such as painful conditions connected to childhood, times when someone in the medical profession dismissed your pain as psychosomatic, detrimental effects of pain medication, etc. For more specific guidelines and theme descriptions, please see here. Submissions of under 3,000 words can be sent as either a Word attachment, or through Google Docs, to hystericalanthology@gmail.com. Mother's Milk Books, publisher of work that empowers parents and normalizes breastfeeding, is looking for short stories and flash fiction (500-5,000 words) for a collection called The Forgotten and the Fantastical (the third in an annual anthology of fairy tales, sci-fi, and fantastical stories). Submissions are free, but you need to purchase a copy of one of the previous collections to enter. Please click here for more information. River & South Review, a semi-annual online literary journal, is seeking poetry, fiction, and non-fiction submissions from writers of any age who have not gone on to a graduate writing degree. Please see complete submission guidelines for more information. Hippocampus has announced its 2016 theme issue: Firsts. Submit works of creative nonfiction, up to 3,500 words, that explore "firsts." "We'll leave the interpretation up to you. While we know we'll see first kiss and 'first time' stories, don't be afraid to get creative with the 'firsts' theme. We're looking for variety!" A dozen stories that fit the theme will be featured in the July 2016 issue. Click here to submit. Proximity is looking for true stories that explore the theme of REUNION in personal essays, images, reportage, and multimedia for its 11th issue. "We're looking for true stories that explore reunions among people, reunions of ideas, personal reunions of belief or identity." Long-form (6,000 words max), mid-range (2,000 words max), flash (500 words max), or photo essay/multimedia welcome. Detailed guidelines here. The Timberline Review welcomes new work from established and emerging writers. Short fiction, creative nonfiction, essays, poetry — tell us about life! Tell us a story! Prose submissions should aim for under 5,000 words; up to five poems per submission. Each published contributor will receive a payment of $25 and one copy of the journal. Click here for more detailed guidelines and the link to submit. Milestones: Yours, your child's, your family's. Tell us about a personal or family milestone and the journey to get there (or not get there). Topics might include a mother's spiritual awakening after her empty nest; missing a son's first time learning how to ride a bike; teaching a child with a learning disability how to read. Multiples: Share your stories about raising multiples, being a multiple, or what it's like growing up in a family with multiples. Topics might include: having twins as the first vs. the last children in the family; commemorating the date twins come home after months in the NICU; comparing identical twin siblings' separate identities. 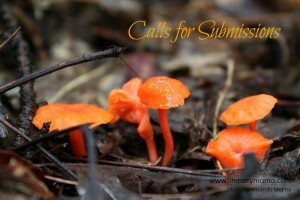 Specific submission guidelines can be found here. These are paid opportunities. Split Lip Magazine is accepting fiction, poetry, and memoir submissions. For genre-specific guidelines and links to submit, please see here. Third Point Press is open to submissions of art/fiction/poetry. "We want you to send us the stuff you know is good. We want to see the not-quite-genre and not-quite-literary. We like experiments and minimalism and conceptual writing. We like magical realism and absurdism and underrepresented perspectives." $10 payment per contributor. Submission guidelines are here; submit here. 1966 is currently open to submissions of creative nonfiction with a research component. Please send submissions to 1966journal@gmail.com. For more information, please click here. No Resemblance seeks submissions for a brand new podcast "that brings you stories of lives lived and paths taken that in no way bear any resemblance to your everyday life." It will be a 12-episode limited run in its first season, and is seeking out authors who want to hear their pieces read aloud in some combination of audiobook and podcast form. They seek short fiction (all genres) of new or previously published work, under 4,000 words, that is gripping, exciting, and adventurous. Literary aspirations are not required, but a taut plotline and compelling, active characters are very much appreciated. Please send all submissions to submissions@noresemblancepodcast.com. More information can be found here. 3Elements Review is now accepting submissions for Issue 11. The elements are Labyrinth, Trace, Reflex. All three words must be used in any poetry, fiction, or creative nonfiction submission. Art and photography submissions must represent at least one of those elements. For more details and the link to submit, please click here. Willow Springs accepts fiction submissions through April 30; poetry through May 31; nonfiction all year-round. Contributors paid $100 per published long-form prose piece, $40 for short prose (up to three stories each under 750 words can be included per submission), and $20 per published poem (up to 6 can be included per submission). $3 reading fee for all submissions. The Passed Note publishes content for a young adult reading audience and seeks submissions of fiction, creative nonfiction, craft essays, and visual art. $4 fee; contributors are paid $10 honorarium. Detailed guidelines here. Understorey Magazine Call for Submissions: Women & Justice. Understorey seeks submissions on all aspects of social and legal justice related to women's lives in Canada. Personal essays, fiction, poetry, spoken word, and visual art by new or established writers and artists who self-identify as women are welcome. Prairie Schooner is open to submissions of poetry, fiction, essays, and reviews. Detailed guidelines and the link to submit can be found here. The Boiler publishes new and emerging writers on a quarterly basis and is open to submissions of poetry (3-5 poems), fiction (short stories or excerpts up to 3,500 words), or creative nonfiction (up to 3,500 words). "Send us your best stuff. Show us how it does under pressure." Detailed submission guidelines here. Creative Nonfiction is seeking essays (up to 4,000 words) about JOY: "Too often the moments that move us to write are bleak ones—stories of loss, hardship, or learning through painful interactions. For this issue we're looking for well-crafted narratives that explore the brighter moments in life, those that teach and enlighten us through their beauty or humor." $20 reading fee. $1,000 for Best Essay and $500 for runner-up. All essays considered for publication in a special "Joy" issue to be published in winter 2017. Click here for specific submission information. NEW CNF call for submissions (up to 4,500 words): Exploring the Boundaries (section of CNF). They're looking for "ambitious writing that pushes against the conventional boundaries of the genre, plays with style and form, and makes its own rules." Guidelines here. Reservoir Journal is open for submissions of art, fiction, creative nonfiction, and poetry. Submission details can be found here. Brevity seeks submissions for its special issue on race. "We are looking for flash essays (750 words or fewer) that explore the lived experience of race, racialization, and racism, show the reader a new way to look at the familiar, or give voice to under-represented experiences." Anchor authors: Claudia Rankine and Roxane Gay. Guest editors: Ira Sukrungruang and Joy Castro. For more details on how to submit, please click here. r.kv.r.y. quarterly literary journal seeks submissions of poetry (no more than 3 poems at a time) and prose (up to 3,000 words) that address recovery in all its forms: "grief, war, exile, divorce, abuse, bigotry, illness, injury, addiction, loss of innocence, and any other topic where recovery presents itself. Recovery may be early stage, middle stage, late stage, or no stage. Failure and doubt are also part of recovery. We will not define recovery as necessarily requiring success." You can submit here. Spartan is now open to submissions of literary prose up to 2,000 words for its spring issue. To submit, paste the entire text into an email and send it to spartaneditor (at) gmail.com. No attachments. For more information, click here. The Common's spring submission period is open. They're accepting fiction, nonfiction, poetry, and dispatches "that embody a strong sense of place: pieces in which the setting is crucial to character, narrative, mood, and language." Detailed submission guidelines can be found here. Helen: A Literary Magazine is open for submissions of short stories (1,500-4,000 words), flash fiction (50-1,500 words), poetry (4 poems, 12-page limit), and essays/personal narratives (1,500-4,000 words). "We appreciate polished work in all genres and actively seek pieces that explore themes such as hope and perseverance. Our issues include poetry, flash fiction, short stories, essays, personal narratives, art, and photography. We also feature video exclusives from our print issues as well as in our ongoing blog series Friday Night Specials." No theme or genre restrictions. Send in your best! We offer token payment. Please click here to submit. Green Mountains Review is seeking submissions from Latina/o, Lusa/o, and Indigenous poets, writers, artists, and photographers inspired by the works and influences of the first Latino Poet Laureate of the United States, Juan Felipe Herrera. For more information, click here; submit here. NANO Fiction seeks flash fiction submissions (max 300 words) particularly on the topics of milestones and transitions for Issue 10.1. "What happens when you reach a significant milestone? What challenges and joys await people or systems undergoing a kind of transition? What surprises emerge as things reach an anniversary or come to an end? How have different characters commemorated anniversaries or accomplishments, and how have those commemorations unfolded in unexpected ways? What happens after the big milestone? We're thinking about cyclical events, rites of passage, death, rebirth, return. Send us your work on transitions, on endings, on anniversaries or apocalypse. Regardless of subject matter, we are looking for work that experiments with form while still balancing narrative." You can submit here. BoomerLitMag, a quarterly online literary magazine mostly by or about Boomers, is seeking previously unpublished stories, poems, and essays for its fourth (spring 2016) issue. Short stories particularly welcome. Simultaneous submissions, if marked as such, accepted. Three to seven pages of poetry and up to 25 pages of prose. All subjects welcome. You don't have to be a Boomer to publish here. When sending material, please type "poetry" or "prose" in the subject line. Email to submissions@boomerlitmag.com. Break the Parenting Mold seeks submissions of syndicated or original posts. This is an online community dedicated to strength in community, lifting up parents of children with special needs and offering support by sharing individual stories. Lists (at least 400 words) or essays (at least 600 words) welcome. Compose: A Journal of Simply Good Writing is reading for its Fall issue. They publish work by both emerging and established writers and accept fiction, poetry, creative nonfiction, articles on the craft of writing—both practical and inspirational, interviews with established writers, literary agents, editors, etc., excerpts from traditionally published works, photography and artwork. Detailed submission guidelines can be found here. The Good Men Project is seeking stories of raising boys to be good men. How do you handle the pressure of parenting a boy? What are the values you are instilling in him and how are you leading by example? If you are married, divorced or single, how does that affect the equation? Detailed guidelines and the link to submit can be found here. Gravel is "interested in fiction and creative nonfiction anywhere from 25 to 3,000 words in length, poetry (no more than 3 poems per submission, and you can submit all of them at the same time on Submittable), photo essays, artwork, comics, video, hybrid—look, we've got eclectic tastes here." Detailed guidelines and the link to submit can be found here. Mamalode announced a May theme of "Cherish." This online magazine pays for publications. Submissions are ongoing, including topical pieces not related to the theme. You can submit here. MidAmerican Fiction & Photography is seeking short fiction of no more than 8,000 words. All genres except erotica. Either the story must take place in the American Midwest or the author must be from the Midwest. Email the story as an attachment to MAFP@comcast.net, along with a bio. They strive to respond within two weeks. Detailed submission guidelines are here. Minola accepts poetry, fiction, essays, reviews, and visual art exclusively from those who identify as women. They are "interested in the fearless and unsympathetic, featuring only work that goes where others are uncomfortable or afraid to go, collecting raw yet well-crafted work to create a space that is honest about the otherwise under-represented female experience." Email submissions and cover letter to minolareview@gmail.com. Specific submission guidelines can be found here. Moonglasses Magazine is a new, student-run literary journal seeking fiction, nonfiction, poetry, flash, and other eclectic work like "Between the Couch Cushions" and "Things We Wrote When We Had Acne." "We're interested in weird, experimental writing that contains absurd and irreverent humor, meta-fictional elements, and works that subvert/push the boundaries of typical fiction, nonfiction, or poetry." For more specific submission guidelines, click here. Multiples Illuminated, a site for parents of multiples, is open to submissions on an ongoing basis. They are looking for parents of twins, triplets or more to share their story, advice and/or tips. Types of essays may include stories and/or advice on raising multiples at all ages, from birth to teens and adulthood, infertility and trying to conceive, experiences in the NICU, breastfeeding, and even birthday party ideas. They accept syndicated posts as well as those not previously published. For original posts, submit a pitch first. Email all submissions to multiplesilluminated@gmail.com. Click here for more detailed submission information. Storychord is now seeking visual art, short fiction, and songs for publication. Every other Monday, Storychord.com features one story + one image + a one-song soundtrack—each by a different, underexposed artist—for a collaborative, multi-media storytelling experience. For detailed submission information, click here. Tell Us a Story publishes stories (less than 2,000 words) that are true and happened to the author. One new story every Wednesday, occasionally with original art. Also interested in very short stories (flash [non]fiction), experimental stories, poems, or plays as long as they are true. You can find submission details here. The Time Gap aims to promote intergenerational dialogue and understanding through the sharing of user submitted essays and stories. May's theme will be "When I was 20..." focusing on events that happened to someone when they were 20, essays capturing what it is currently like to be 20, or young people discussing their hopes and goals for when they are 20. Interviews of children welcome. No pay (yet). Writers retain all rights. Submit a photo of the subject, if possible, for use on the site. Send all essay/interview submissions (preferably under 2,000 words) to thetimegap@gmail.com. Blog to launch May 1. True Story is a new monthly magazine put out by Creative Nonfiction, set to debut this fall. Each issue will feature one exceptional work of creative nonfiction, distributed in print and digitally. They seek previously unpublished works of narrative nonfiction between 3,500 and 7,000 words on any subject, in any style. Writer will receive $300 upon publication and 10 free copies of the issue. Guidelines can be found here; submit here. Vela has launched a new column on motherhood, Milestones, curated by Sarah Menkedick. The column "wants to encourage more women to explore the depths and possibilities of this fundamental subject, exploring motherhood as milestone; as consciousness; as daily routine; as radical or gradual shift; as feminist awakening; as voyage; as challenge; as corporeal and spiritual and intellectual condition." Milestones will publish essays between 1,000 and 3,000 words, as well as occasional interviews and reviews. Please see Vela's submission guidelines for more information. Youshare is seeking true, personal stories about life-shaping events or experiences – in the form of written essays, audio and video essays, and photo essays – from storytellers of all skill levels. Around 1,000 words recommended for print submissions; a 2-minute minimum is recommended for audio and video essays; a 5-photo minimum is recommended for photo essays. Please click here to learn more and submit. The Blog seeks submissions for its After Page One series. We're looking for 300- to 500-word guest posts that motivate, inspire, and encourage other mama writers about getting started, returning to a writing project, integrating writing with motherhood, reading, or having a positive attitude. Here are some questions to get you started and a sample After Page One post. Please send submissions to LMblogcontact (at) literarymama (dot) com in the text of an email and include "After Page One" in the subject heading. The Profiles department seeks "profiles of writers who are mothers, or writers who write about motherhood (who may or may not be mothers themselves), or writers who have something to say to mothers." Submissions should range from 750 to 2,500 words and may be Interview (Q&A) or narrative format. More information can be found here. The Columns department seeks columns contracted for 11 installments (1,000-1,600 words) that are published either monthly or bimonthly. The Literary Reflections department seeks "writing by mother writers, both established and emerging, focused on the creative process. We're looking for first-person reflections with an intellectual as well as personal focus." You may choose to write about your reading, writing, or professional life. Submissions should range from 700 to 3,500 words, and more information can be found here. The Literary Mama Blog Editor searches for mama-centric news you can use — including information about publishing opportunities and literacy efforts; essays and writing prompts that motivate and inspire; and announcements about events, classes, and workshops. The current blog editors are Rudri Patel and Sharon Brandwein; read their bios here and here.